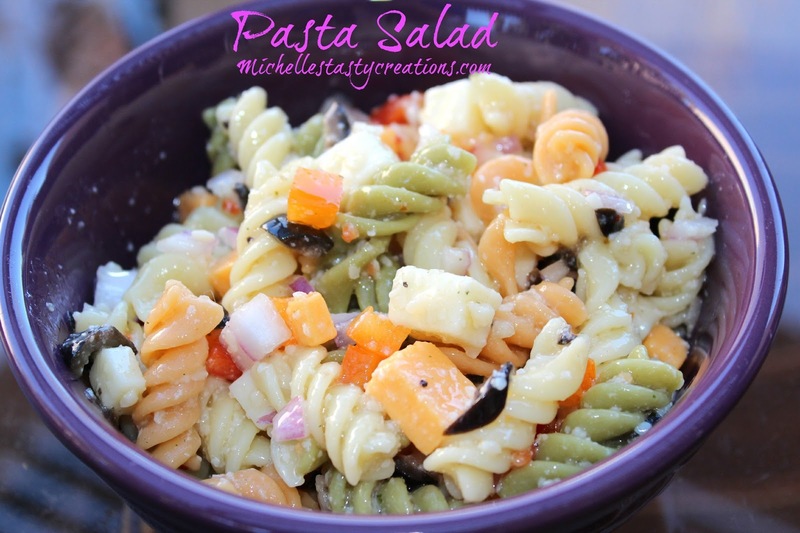 This is the Pasta Salad recipe I have been making for years. I usually only make it in the summer but I was in the mood to make it yesterday so you get a new recipe. Enjoy! In a large pot, boil pasta according to the package directions. Drain and rinse with cold water until the pasta is no longer warm. While pasta is cooking, prepare all the rest of the ingredients and place all but the dressing and Parmesan in a large bowl. Add the cooled pasta and stir to combine everything. Now you can add the dressing and stir really well until completely coated. Add the Parmesan and stir well. Best if chilled for at least 2 hours.